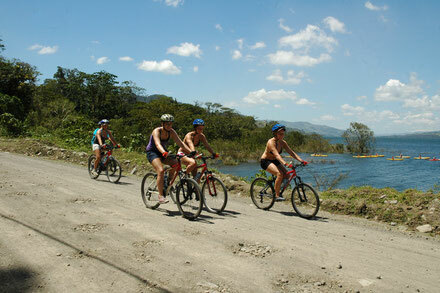 Mountain Bike near to Lake Arenal is an adventure tour that you can not miss it! Our tour guide will pick you up at your hotel and then proceed to gather the rest of the group in order to initiate this lifetime adventure. 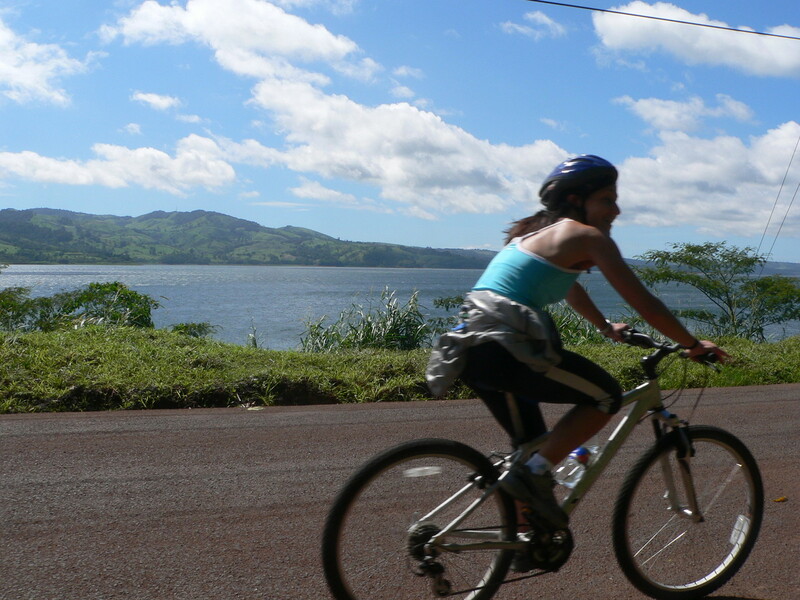 We will board our tour van that will take you to Lake Arenal surroundings with its impressive views. 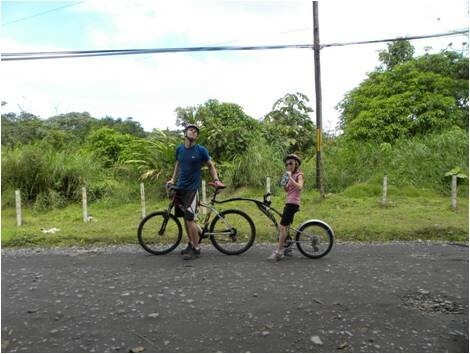 Here we will start our bike tour by riding across a country road called “The Old Trail” towards Arenal Volcano National Park. 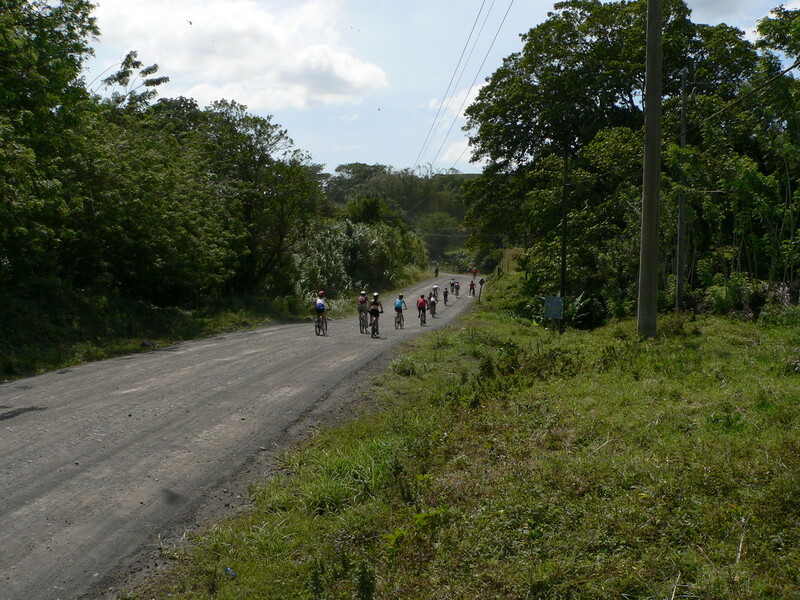 On this country road, during our expedition you will be allowed plenty of time to observe the magnificent views of Arenal Volcano. 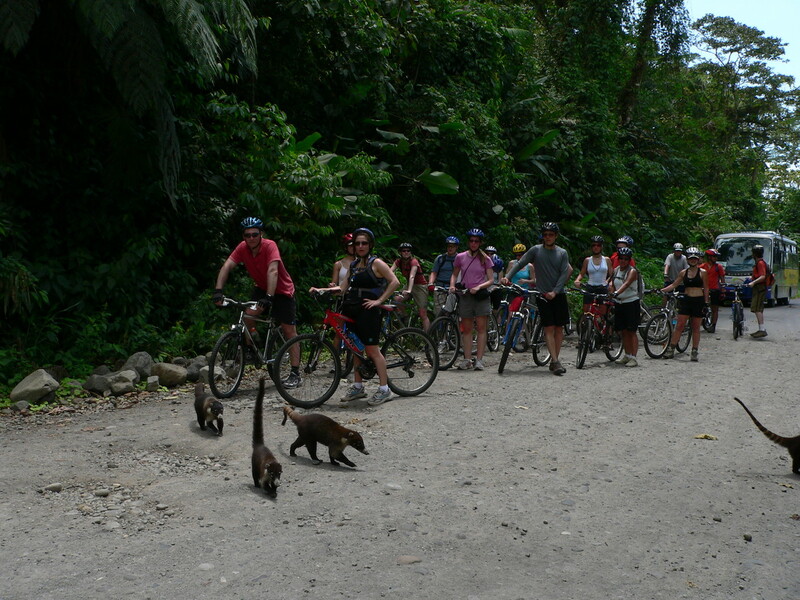 While crossing the tropical rain forest, we will let you explore the sights and enjoy the great variety of flora and fauna found here and be able to hear the sounds of nature around you. At certain point, you will do a river crossing where you might want to take a dip into the water and then continue back onto the road. 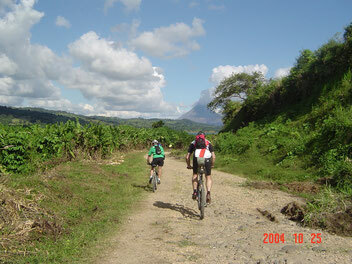 What to bring: Comfortable clothes, insect repellent, waterproof camera, binoculars, sunscreen lotion. 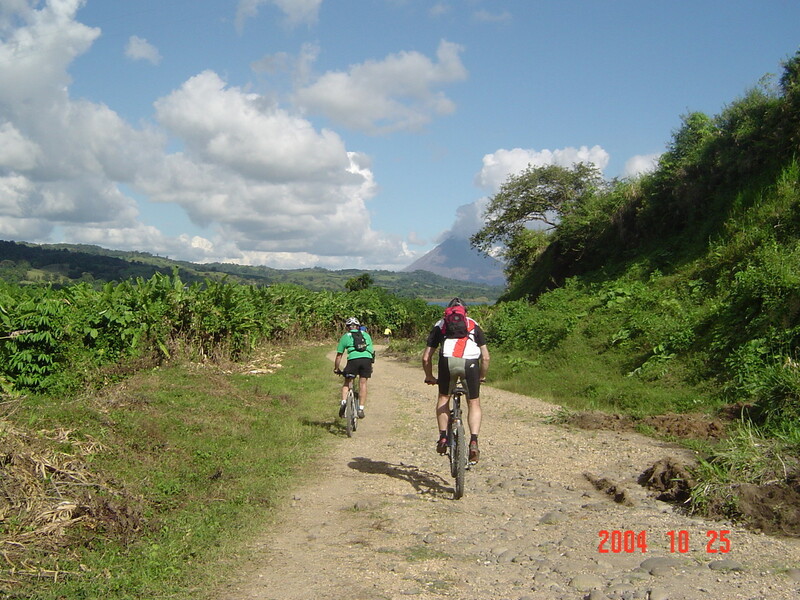 Included: Transportation from and back to your hotel at Arenal Volcano area, bilingual naturalist guide, snack and beverages, equipment, sunscreen.